A COM fire technology student extinguishes a fire during training. A solid education shouldn’t cost a fortune. With that in mind, not-for-profit Fire Science Online has compiled a list of fire science programs offering the highest return on investment and named College of the Mainland as number 34 on the list of the top 90 (roughly 10 percent) programs in the nation. Nearly 900 colleges in the U.S. offer fire science programs at varying tuitions, according to Fire Science Online. Schools included on the organization’s highest-return-on-investment list are fully accredited, offer an annual tuition less than $10,000, are located in an area with an average expected annual salary greater than $50,000 and have at least 35 active students enrolled. 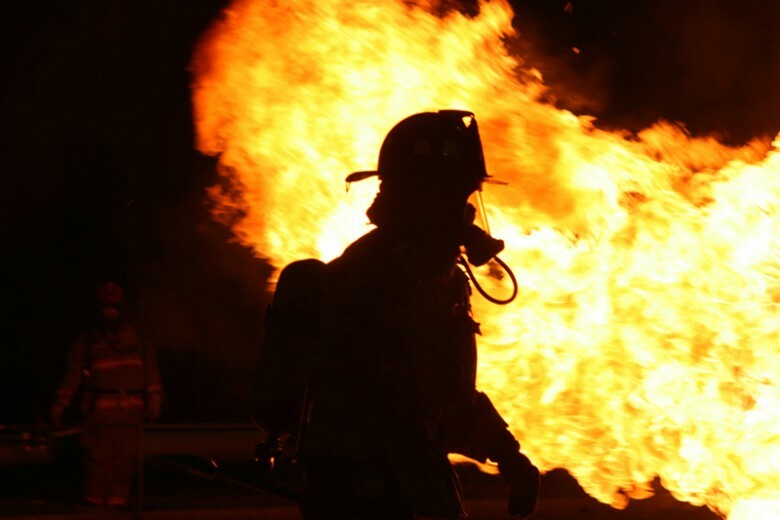 The COM Fire Technology Program offers a one-semester fire academy to prepare students for careers as first responders and a two-year degree in fire technology for those who want to advance their careers and skills. Graduates of the COM Fire Technology Program excel on state exams and have had a 98.4 pass rate for all certification exams for the last three years. After certification, graduates are in demand at departments across the state. “Montgomery County, Conroe and various places across the state have hired our graduates. Houston, Missouri City and Galveston Fire Departments regularly recruit in our classes,” said Danny McLerran. Fire Science Online also ranked COM in the top 100 schools, out of more than 2,500 in the nation, offering the most first-responder programs. Committed to training the next generation of emergency personnel, COM offers degree and certificate programs for those pursuing peace officer and emergency medical technician careers, including a peace officer academy and Associate of Arts in criminal justice and EMT-basic, EMT-intermediate and paramedic certificates and an Associate of Applied Science in emergency medical services. Fire academies will be held this fall during the day and evening beginning Sept. 23 and Sept. 28. For more information about COM Fire Technology Program, call 409-933-8378 or visit www.com.edu/fire-technology. For information about other first-responder programs, call 409-933-8285.